How does The Dragon Prince season 2 measure up to its first season? 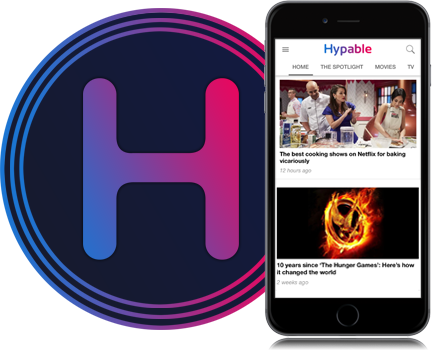 Two Hypable writers share their thoughts. 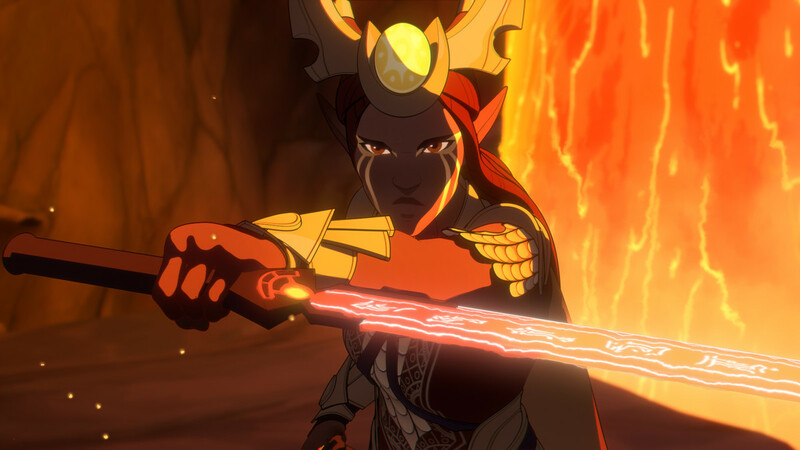 After the first season garnered glowing reviews, expectations are high for The Dragon Prince season 2. 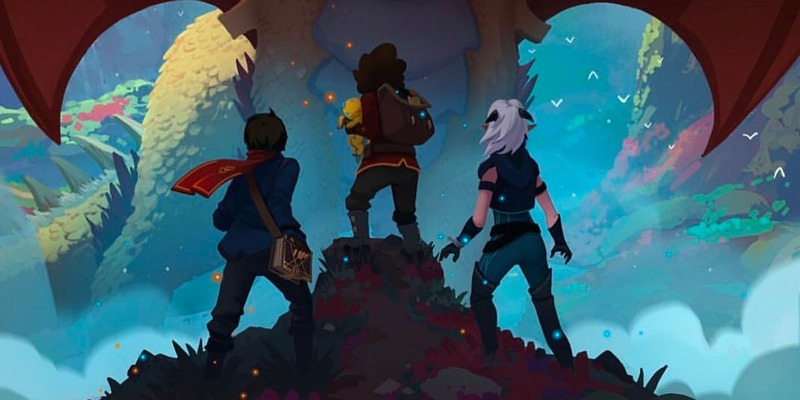 Hypable writers Donya and Michal have teamed up again to review Netflix and Wonderstorm Picture’s sweetly epic tale of magic and maturity, and let fans know what to expect in this new adventure. Michal: Maybe the most important thing to know about The Dragon Prince season 2 is how emphatically the team at Wonderstorm has raised their game. Like the titular (and upsettingly cute) baby dragon Azymondias, The Dragon Prince now has the freedom to crack out of its sparkling shell and spread its wings. The Dragon Prince season 2 is still rich with the elements that made season 1 such a treat. There is wry and unpretentious humor, a deep mythology, high adventure, and characters dappled in shades of good and evil. This time around though, The Dragon Prince presses harder on every note, eliciting deeper and more resonant music. Motives are interrogated, memories plumbed, the limits of wisdom tested and reconsidered. The show’s thematic tones grow richer and more complicated with each episode, leading to a final product that demands to be considered as much as its jewel-bright animation is enjoyed. Donya: Prior to the season airing, we had several questions lingering from the tantalizing teases set up in the freshman outing of the show. Many of those questions centered around what, exactly, happened to certain characters prior to the events that led to King Harrow’s assassination. The complicated relationship between Katolis and Xadia moved into even more murky ground as the show flashed back to a crucial event that set so much of what happened in season 1 in motion. The strong internal conflict as an audience between understanding the specific motives, versus knowing what is – ultimately – the right thing to do, was excruciating as it played out in front of our eyes. And, equally, there was a sense that the specific consequences of this sequence of past events is something we have not seen the end of yet. Michal: The drama was largely external when we last saw the two human princes of Katolis, and their elven-assassin-turned-friend. Now, in The Dragon Prince season 2 creators Aaron Ehasz and Justin Richmond up their game by turning their focus ruthlessly and deliciously inward. Oh, there is still plenty to admire on the outside as Callum, Ezran, and Rayla continue in their mission to heal their wounded continent. Sunfire Elves literally radiate badassery, unexpected magic chills, and have I mentioned that Zym is so cute, he should be illegal? 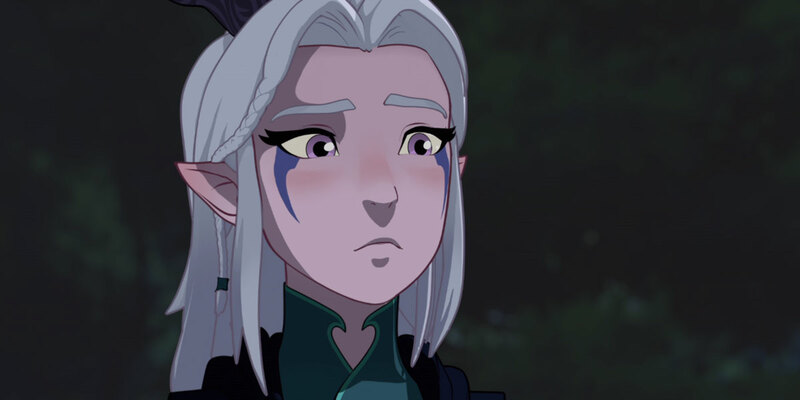 But the primal elements that most define The Dragon Prince season 2 are almost always internal; conflicts of the heart, hopes and disappointments, self-perception and the drag of destiny. The true fight in The Dragon Prince season 2 takes place within each character, and — vitally — is ultimately fought by each alone, on terrain designed to highlight their weaknesses. Callum grapples with an abrupt loss of purpose, unable to enjoy his self-declared destiny as a mage unless he succumbs to dark temptations. In contrast, Ezran finds his purpose with the birth of Azymondias, but resists the responsibilities that beckon inevitably in his future. (Worth saying again: Zym is crazy cute.) Rayla struggles with the secrets that could destroy her bond with the princes. And the circle of internal struggle spreads still further. Claudia and Soren gain considerable dimension in season 2, as their hunt for the princes begins to exact a wrenching and unexpected price from the siblings. And of course, their father Lord Viren… well, let’s just say that Viren balances on the point of a blade. His lust for power, desperation to save the human kingdoms, and familiarity with Dark Magic might devour him whole — or it might just prove a surprising salvation. Soren and Claudia, meanwhile, are forced much closer to the terrifying precipice of adulthood. Both of Viren’s children gradually becomes aware of the true role they are playing in this story, and what that actually requires of them. As a result, Claudia and Soren are each driven to surprising and powerful personal extremes that makes their storyline one of The Dragon Prince’s strongest plots so far. Of course, there are also a few new characters thrown into the mix, balancing the scales of light and darkness. It would be too revealing to say much more, but with a potent combination of enigma and emotional clarity, The Dragon Prince season 2 expands its cast with characters who fans will be all too eager to see again. 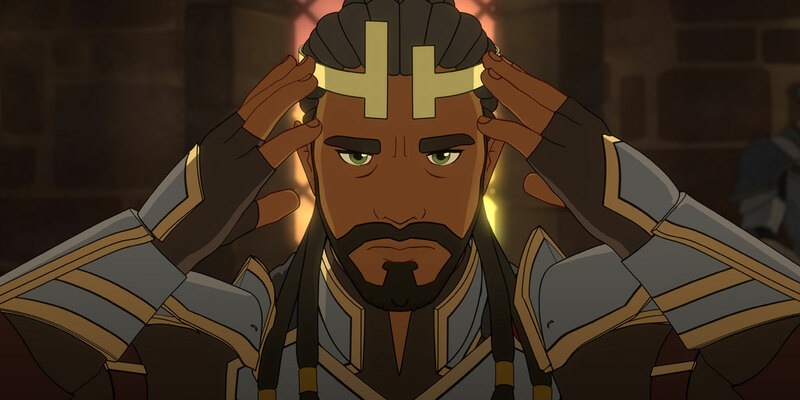 Donya: Another character that reaps significant benefits from The Dragon Prince season 2 is Callum. At the close of the first batch of episodes, as an audience, we were privy to the fact that Callum would go through his own series of struggles owing to the destruction of the Primal Stone and the loss of his ability to do magic as a result. As the second season progressed, so too did Callum’s desire to be able to find his “gift” once more. That results in some complicated conversations with some of the other characters who deliver a few home truths, but Callum is nothing if not determined in the face of mounting adversity in his path. However, on the flip side, that also leads to a few decisions that have major consequences – and one particularly affecting scene that left me wondering about what his fate might be by the time the finale eventually played out. 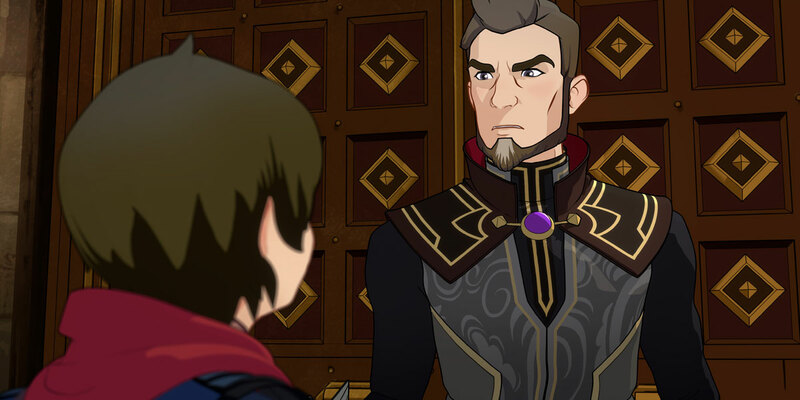 What transpired, though, fundamentally changed what we know and understand about The Dragon Prince world and Callum’s place in it. The domino effect will be far-reaching and have more consequences than we might realize at this point of the show. One character who took more of a back burner was Rayla, despite still having some great moments. They were largely front loaded in the season, and what was there unfolded in an incredibly compelling way. The lighter touch heading into the back-half of the season was understated, true, but with the events of the finale it is unlikely to continue to be the case when the show returns – Rayla will play a key role as the landscape continues to shift with the central journey. Donya: One of the most compelling parts of The Dragon Prince through its first season was in its relationships. Be it familial, friendships, or even the more romantically inclined, there were several foundations built up during the show’s freshman run. And, in its return, many of those relationships were tested – both due to internal and external conflicts. Secrets threatened one of the fledgling friendships from season 1, and it toed a very fine line between being rocked by two very specific decisions made on either side, and the potential to develop into something more down the line. The resolution to the first conflict, a hold over from the first season, was done an incredibly elegant way – and set up another emotional payoff later in the season between two other characters. Equally, love, in all its forms, played a huge part. Romance was woven in in a way that made sense for the direction the narrative was moving in – both building on the initial sparks in season 1, and also developing relationships we were aware of as an audience, but not specifically privy to. Where some of those relationships will go next remains to be seen – some have already met their end, even before we become aware of them, and others are taking their first steps – but there is a lot of potential for exploring it as the narrative continues to develop. We also get our first confirmed queer relationship in this season, though there may be some debate generated about the outcome. Due to the scope of the circumstances in which we are introduced to the characters, what happens makes a lot of sense, however, it does play heavily into a trope that has had far too much airtime already. They are not the only characters on the receiving end of the trope, however, it will entirely depend upon individual viewers how it is taken. All in all, there will be several new relationships to explore and theorize about after the credits roll on the finale episode, and I can’t wait to engage with other Dragon Prince on what some of them could mean moving forward. Especially with Viren and his new… friend. 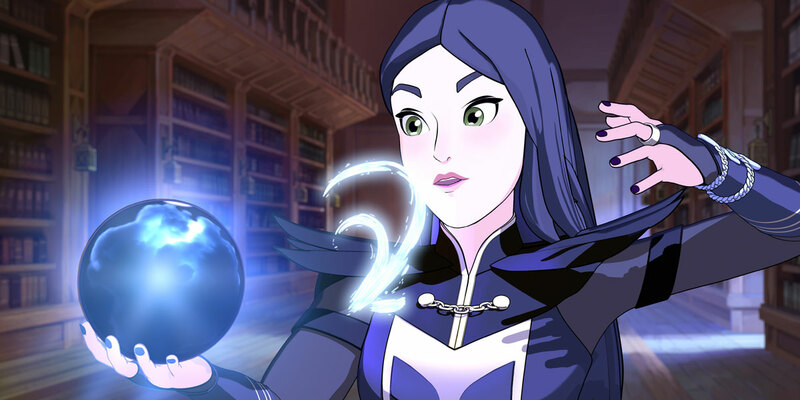 Donya: Humans’ reliance on Dark Magic was one of the central conflicts in the first season of The Dragon Prince, and a contributing factor to the ongoing war with Xadia. Season 2 took that foundation and ramped it up massively, taking the extent of what that particular branch of magic is capable of, and the true consequences of what it means to pervert the natural order, regardless of the intent. The two central figures relying on Dark Magic – Viren and Claudia – both utilized it in very different ways, but their goals, the very core of their beliefs, are not as different as you might have originally expected. There’s a dangerous parallel between what Viren was willing to use his magic for to protect Harrow, and what Claudia is willing to do for her own loved ones, which escalates to a terrifying degree by the close of the season. There are compelling arguments made to the usage – despite the very real cost to life – that play heavily on the conscience of some of the characters, as they lean in or lean away from their reliance on that kind of magic. But, equally, there was a curve ball thrown into the mix in the shape of a new character, one that raises many, many questions as the direction of the show shifts. The character in question, now inextricably linked with another, has not yet posed a specific threat, but their introduction and machinations add another complex layer to the possibility of where Dark Magic will go next. Everything suggests that they are what you would consider the potential Big Bad, but there’s so much still left to unravel about their true plan. The Dragon Prince season 2 soars onto Netflix on Feb. 15.